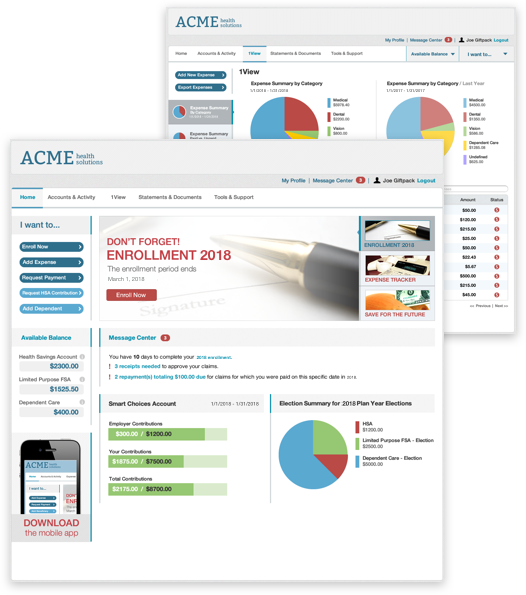 We had the privilege to help them create visual products and collateral to convey the value and functionality of their asset clearinghouse platform. The goal was to demonstrate, in an opaque manner, the customer experience of an easy to use payment platform running on a private blockchain. We delivered two products that helped Manifold Technology communicate the value proposition of asset liquidity. As a result, they were able to raise capital from institutional investors. We welcomed the challenge of transforming Verifone from a hardware focused organization to a software and customer-driven, service oriented company. We designed a completely new android based POS system for businesses that require more open and highly customizable experiences. This new device is being used to modernize the next generation of Verifone point of sale devices while maintaining their well-known brand. 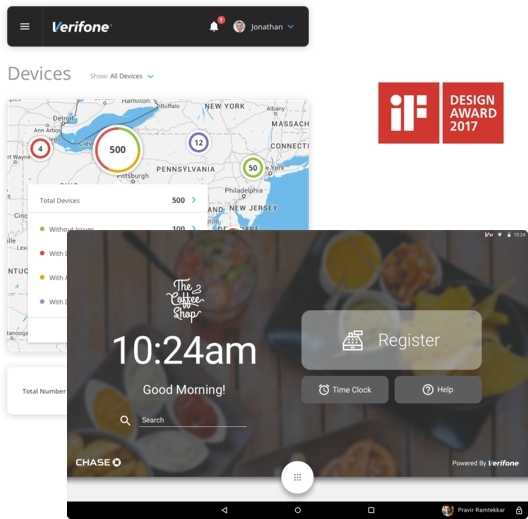 The final result was an entirely new and award winning Android-based POS that has helped modernize Verifone to better position themselves in the market. SocialCode is digital media management platform that provides audience, performance, and campaign insights. 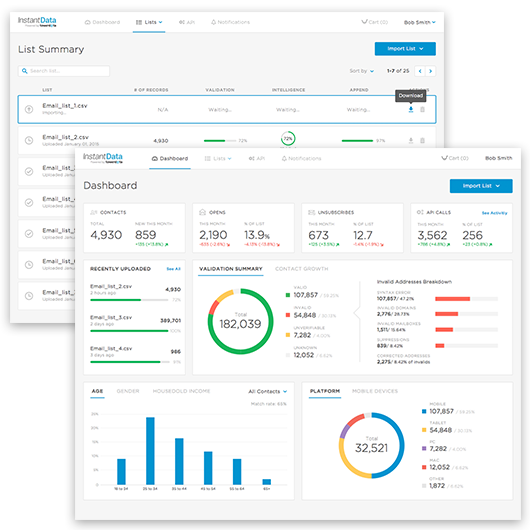 Their API access consolidates reporting across all major platforms. 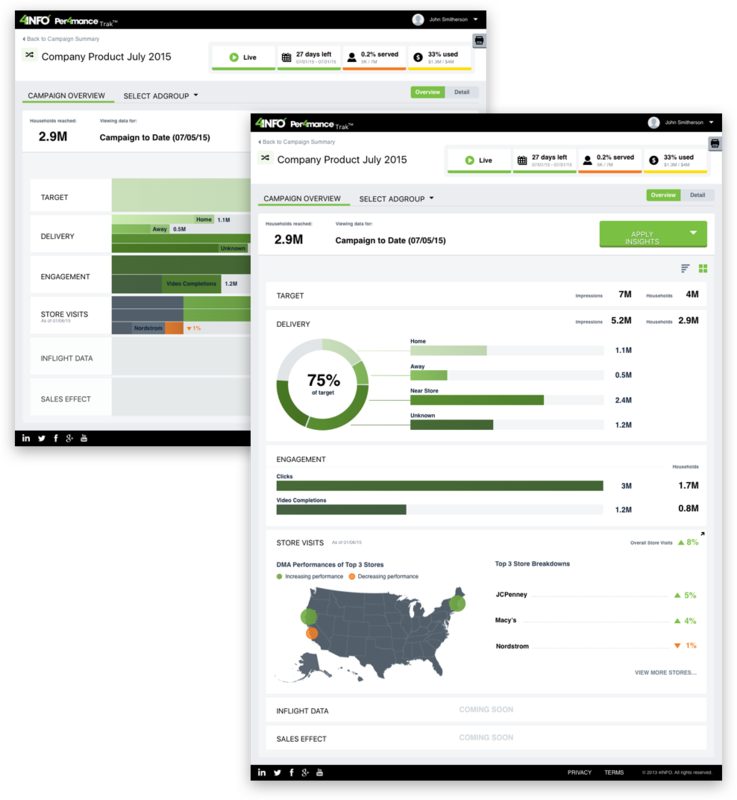 Our challenge was to come up with a new and innovative way to visualize and segment audiences to raise efficiency and discover possible audience extensions that would not be obvious without the tool. We successfully created an innovative product that unlocks new potential for Social Code’s clients. The design was extremely well received by the executives and the client. 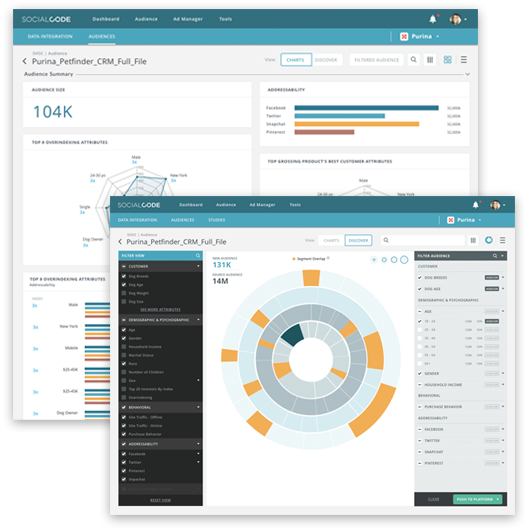 The deep analytical tools give new power to the analysts as they raise the efficiency and reach of their targeting. When we started this journey, we had no idea that we would end up designing 11 different applications (and counting). 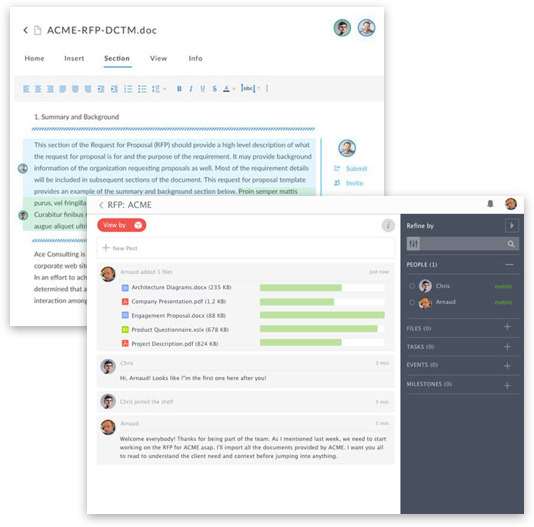 We worked with them to transform their current enterprise applications into one comprehensive set of task-specific, cloud-based mobile apps that can be mixed and matched to each user’s needs. After Evolution1 came to us to redesign their Consumer Portal, we solved their users’ pain points by reorganizing the navigation into an intuitive structure, applying consistent visual design and interaction across all flows, and simplifying complex healthcare terms and processes. We did so by clearly explaining terms and providing users help and tips along the way. By working with us, Evolution1 was able to expand on their Consumer Portal by maintaining the same great user experience. The team that built Apache Kafka at LinkedIn founded Confluent as a streaming data platform powered by Kafka, which was able to accommodate over 1 trillion messages per day. Confluent focuses on helping companies get easy access to enterprise data as real-time streams. 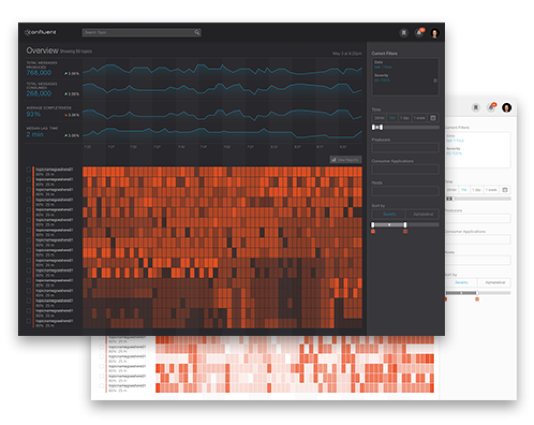 Confluent asked us to help them design their reporting interface, which would let users see where the bottlenecks and problems are in the messages they publish to Kafka. 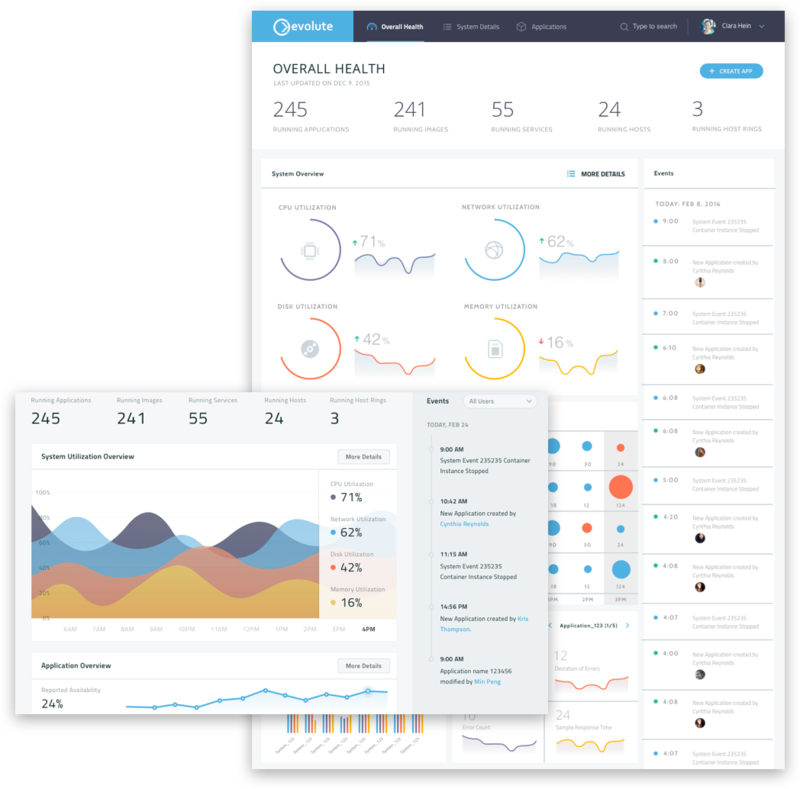 Through explorations and iterations, we designed a dashboard and detail page that is not only aesthetically fresh and appealing, but also usable. Through brainstorming and solidifying behavioral patterns before designing, we provided multiple concepts for the client to choose. We implemented cards, color, and the option to toggle views. 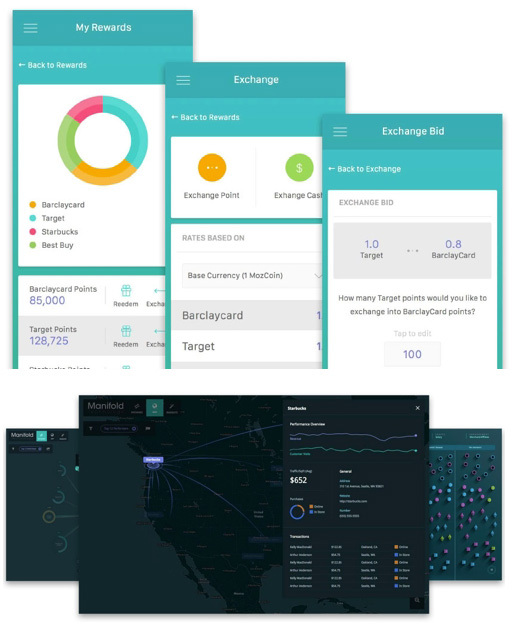 In the end, we successfully created a product for the client that lets their users easily break down and analyze their advertisement campaign data. The Evolute team challenged us with designing a platform with three drastically different user types that ranged from high-level executive to applications engineer. The Evolute application was primarily built to monitor running applications, but in order to view the application, the user must first add the applications. By optimizing different parts of the application for the specific users, we made it easy for users to analyze their systems and make any changes required. The project was a huge success, and the founder was able to land numerous clients before the app was officially launched. We were also able to complete the project on time and within budget. 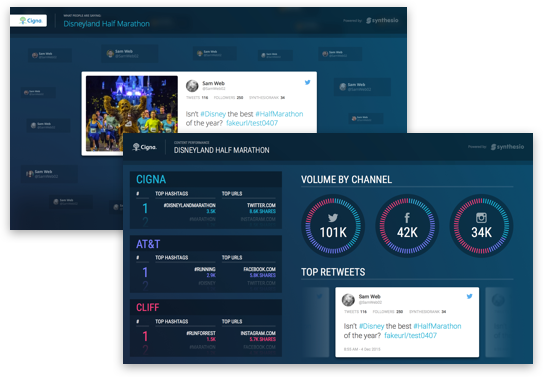 In 3 weeks we redesigned and developed a command center demo for the main sponsor of the 2016 Disneyland Half Marathon, Cigna. This command center was intended to be used by the health insurance company to display the social brand performance of the company against the rest of the event sponsors on large size TVs. The project was a huge success and utilized heavily during the 2016 Disney Marathon. We were able to complete the project on time and provided a huge value for both companies and runners alike. 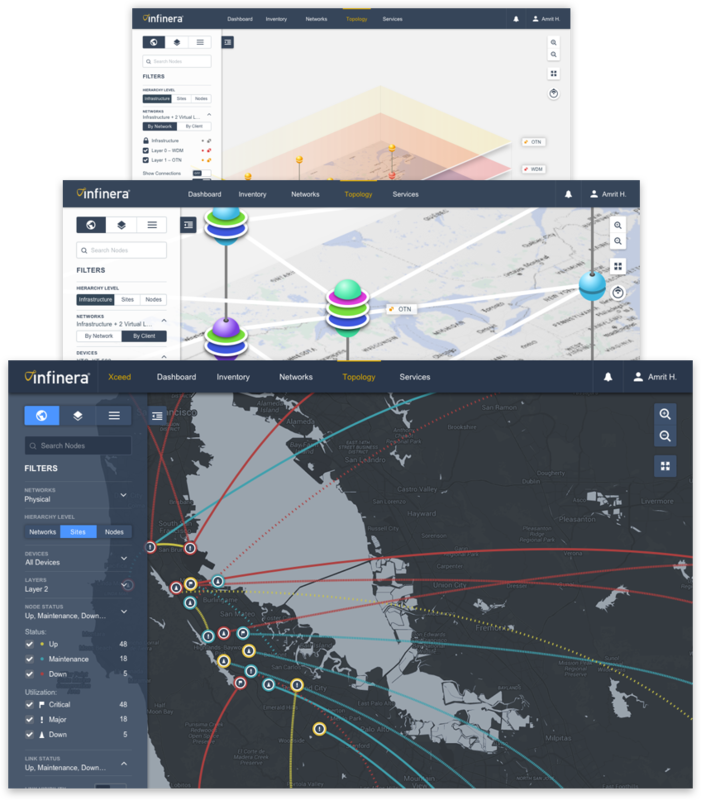 Infinera came to us to design and develop an application that visualizes the connections within different network types so that issues can be resolved quickly. Service and cloud operators, governments and enterprises across the globe rely on Infinera to create rich end-user experiences based on efficient, high-bandwidth optical networks. Our team had to learn some of the complexities of setting up long distance optical networks to be able to design effective visualizations for an audience that is not deeply technical. The resulting prototype allowed us to explore 3D visualizations for complex networks all the while remaining accessible. 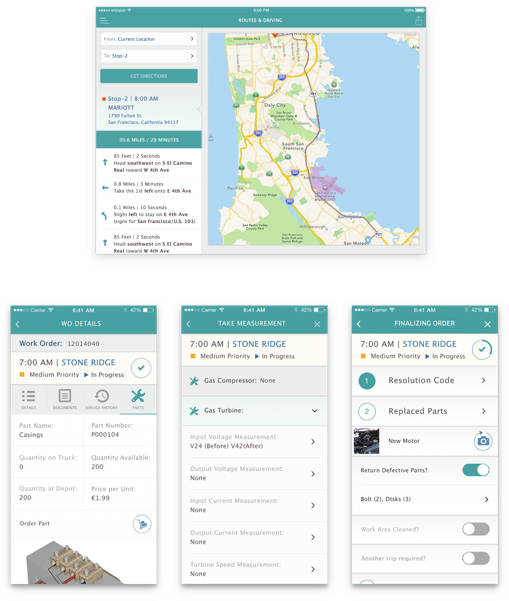 We had the privilege to work with Kony to transform field service from being loads of paperwork to doing a few simple tasks on a tablet or phone. Our main goal was to design an application that would allow these workers to be as efficient as possible by giving them more control over their schedule and tasks. Starting from identifying issues with the application demo provided to us, we designed to solve those problems and simplify the workflow. Overall, we helped Kony create an app that can be used in any field situation and increases the efficiency of the workers.